Keeping your product warranties organized can help you determine if there is a solution to a product's failure or allow you to review replacement policies. This is a guide about organizing warranties. When I receive catalogs in the post, I save all the envelopes. The ones I can't recycle (if they have advertisements, etc. on them) I lay aside in my "guarantee folder". Then, when I purchase an item that is guaranteed, I place the receipt in the envelope and, on the front, I jot down the name of the item. date of purchase and length of guarantee. Source: Something I've done for many years. Take your product warranty, directions and store receipt and slide them into a clear sleeve. Place in a three ring binder. Put a label on the outside of the binder; Kitchen appliance, electronics, Lawn care, computer, etc. 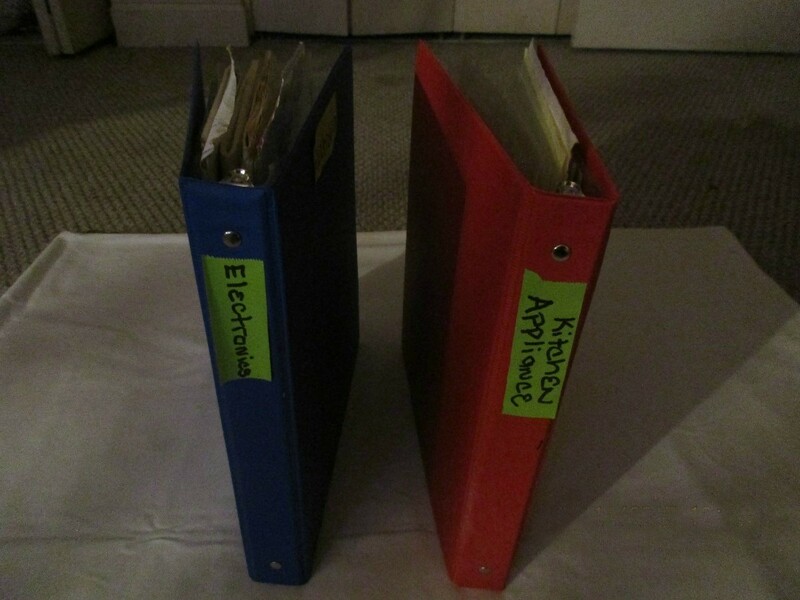 You can place these binders in the room that goes with the label or in a book case. Now you can easily find the paper work you may need for repairs and so on.